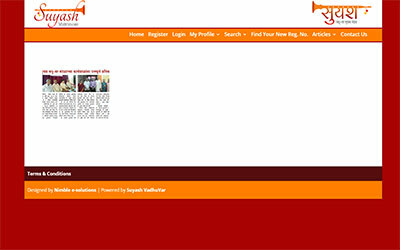 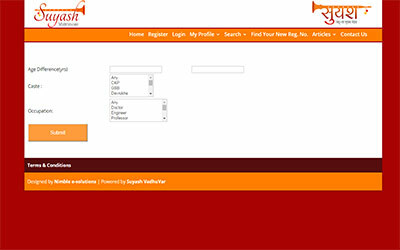 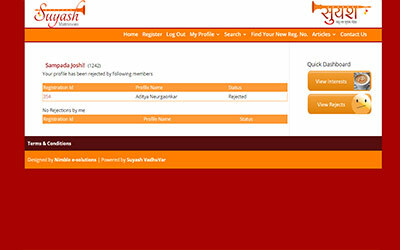 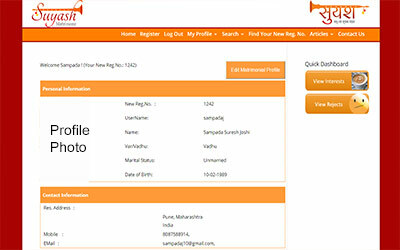 As name suggests suyashvadhuvar.com is a matrimonial site hosting more than 1500 members. 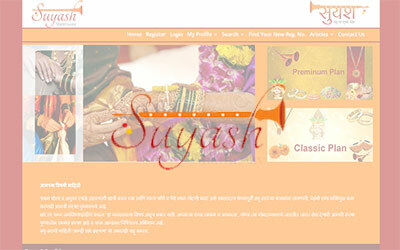 This is a classic showcase of and wordpress site integrated with an matrimonial application. 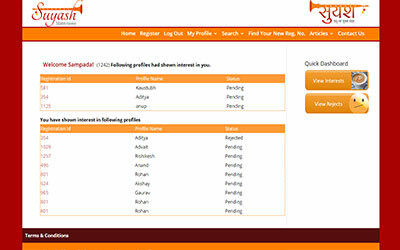 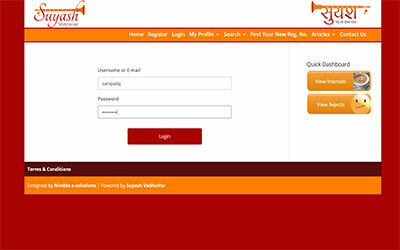 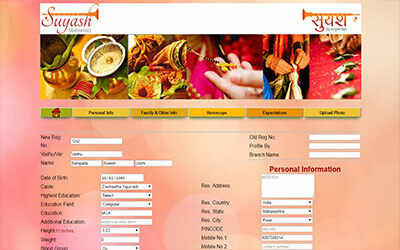 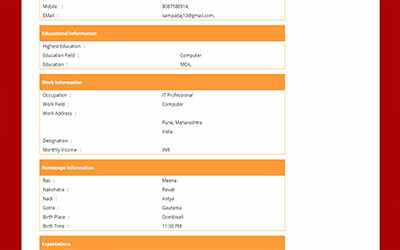 The Matrimonial application is totally customized webapp developed using core php. 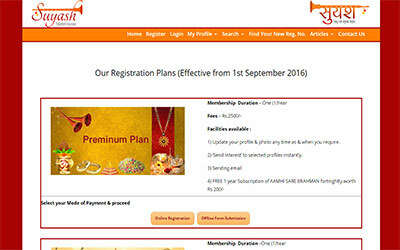 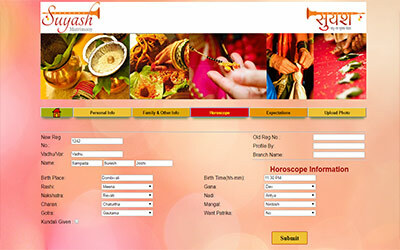 Create Matrimonial Profile: This module allows the Suyash members to create their own profile categorised into personal information, family information, educational information, professional information and the most importantly profile photo and horoscope .